Sennheiser has created a new wearable microphone that can be used for a wide variety of applications and has been specifically designed to connect to your smartphone and help you capture those precious memories that happen on a daily basis. The Sennheiser Memory Mic takes the form of a wireless omnidirectional condenser microphone that is capable of storing up to four hours of 16-bit/48 kHz audio to its internal storage with a frequency response of 100 Hz to 20 kHz. Equipped with a rechargeable battery the microphone can be used without any wired connection. Watch the heart stringThis pulling promotional video below to learn more. Using the Sennheiser companion application convenient recording, transferring, and one-touch audio/video synchronisation is available. 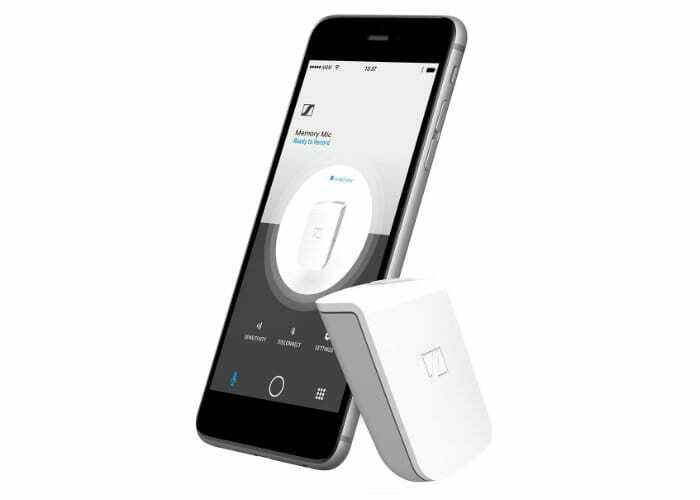 “Once you’ve used the app to start recording video on your smart phone and audio on the Memory Mic, you don’t need to maintain the Bluetooth connection between the mic and the phone; this allows you to position the mic as close to your subject as necessary for optimum audio results, even if that’s beyond the range of your Bluetooth connection. After recording, use the app to sync the audio and video via Bluetooth”. The Sennheiser Memory Mic is now available to purchase price of $200 and the companion application is free to download on both Android and iOS platforms.